With Dwayne "The Rock" Johnson either too expensive, lacking acting ability or doing something else, a role that seems perfect for him. 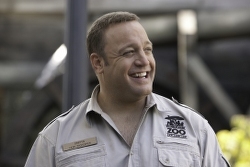 Instead we get Kevin James. 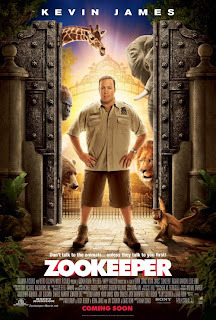 The animals at the Franklin Park Zoo love their kindhearted caretaker, Griffin Keyes (Kevin James). 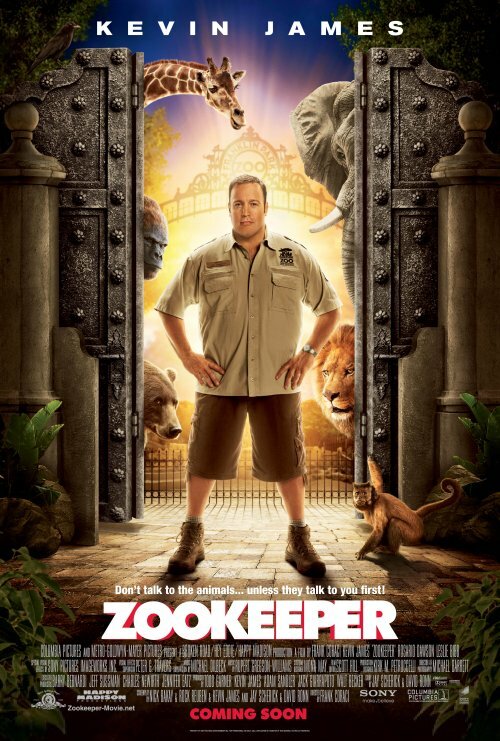 Finding himself more comfortable with a lion than a lady, Griffin decides the only way to get a girl in his life is to leave the zoo and find a more glamorous job. The animals, in a panic, decide to break their time-honored code of silence and reveal their biggest secret: they can talk! To keep Griffin from leaving, they decide to teach him the rules of courtship – animal style. The film also stars Rosario Dawson and Leslie Bibb and features the voices of Cher, Nick Nolte, Adam Sandler, and Sylvester Stallone.